Oversun-Scalaxy has launched a large-scale service for providing hosting and computing for resource-intensive sites and internet/telecom applications. To clarify on the purpose of the service and to stress its advantages the company needed special icons. You are also welcome to visit the site of Oversun-Scalaxy (also our creation) to understand the purpose of each icon. 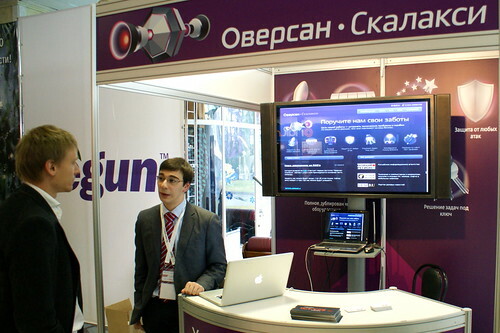 The icons are used not only on the site but also at conferences, for instance the company’s stand at the 2010 Russian Internet Forum was decorated with our icons. Oversun-Scalaxy has been in the cloud hosting market since 2008 and sees its primary purpose in increasing the efficiency of large Internet projects through cutting their IT infrastructure maintenance costs. The target audience of the company includes Internet projects with over 10 thousand daily visitors with expressed uneven load.